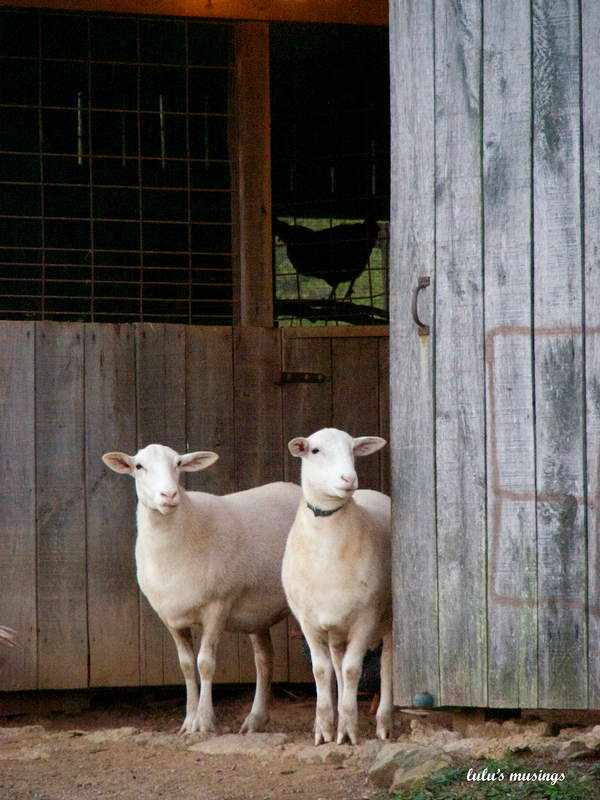 Now, I’m not sure I’m a farm girl, but it is fun to take in all the activity in the barnyard. How all those two and four legged critters know when its feeding time is beyond me, but when they see the girls step inside the gate, a mad rush ensues. What is really funny is that the different species hang with their own giving real meaning to the saying “Birds of a feather flock together”. and follow their shepherds wherever they go. and their sweet faces would steal anyone’s heart. 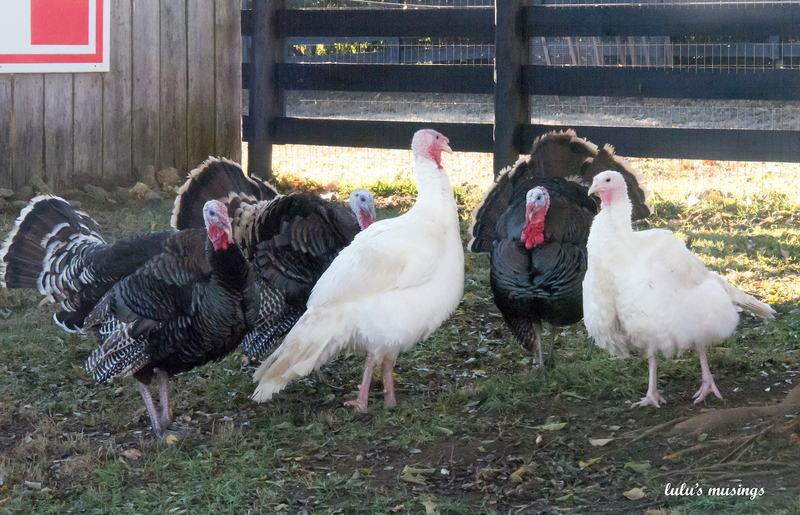 and it looks to me like they may be hatching a plan to avoid the chopping block. 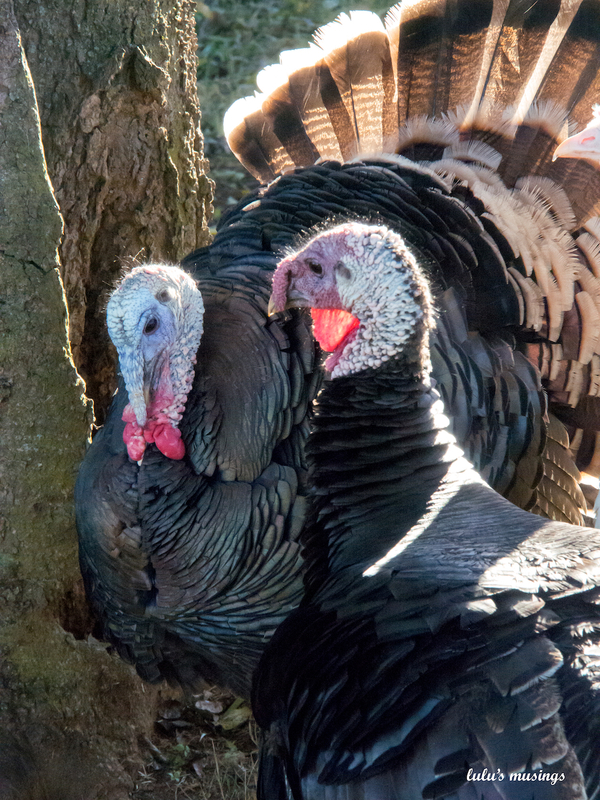 which means Thanksgiving dinner will be the one that doesn’t get away. 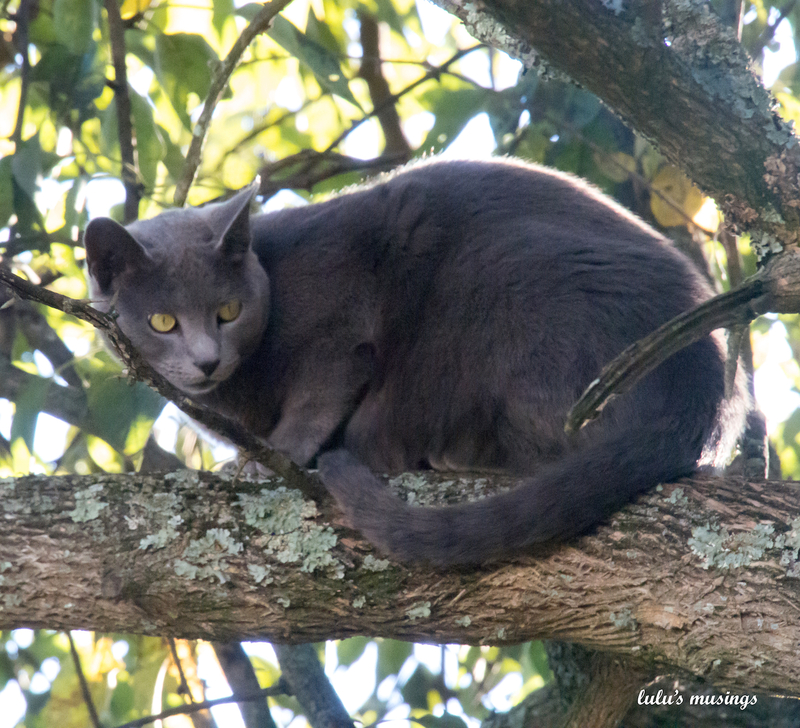 All this activity is a bit much for Lucy who looks down on it from her high perch. As for Aslan, he’s on the outside looking in wanting to be part of the action. With his energy that would cause total chaos! 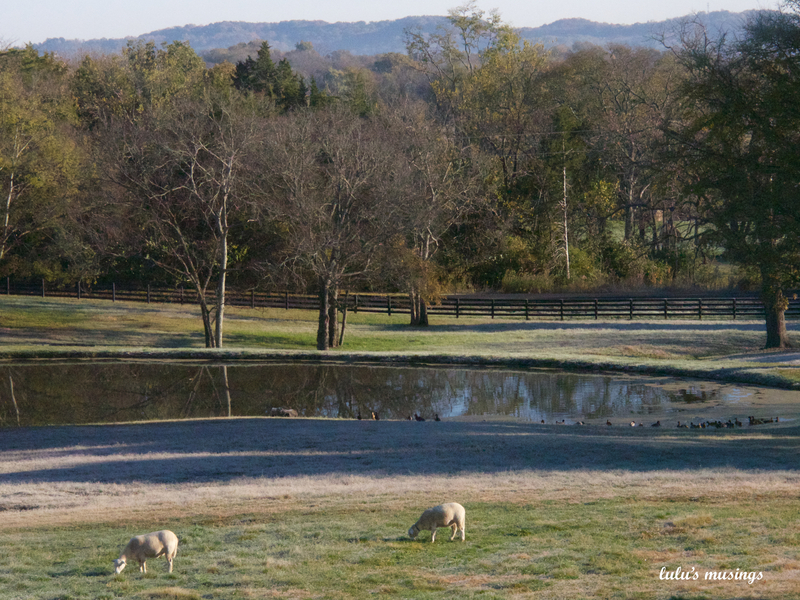 It’s tempting to linger to take in the natural beauty of the farm, but hit the road we must. As we sneak down the stairs hoping to leave quietly, we find Super Daughter in the kitchen scrambling up some farm fresh eggs. Now, that is a loving and delightful surprise. Speaking of eggs, the chickens are the girls’ responsibility. Eggs are plentiful, and the girls have built a customer base for all the extras. Pretty enterprising, wouldn’t you say? Until next time through, that’s it for barnyard happenings. There’s no telling what changes will occur there between now and then. P.S. 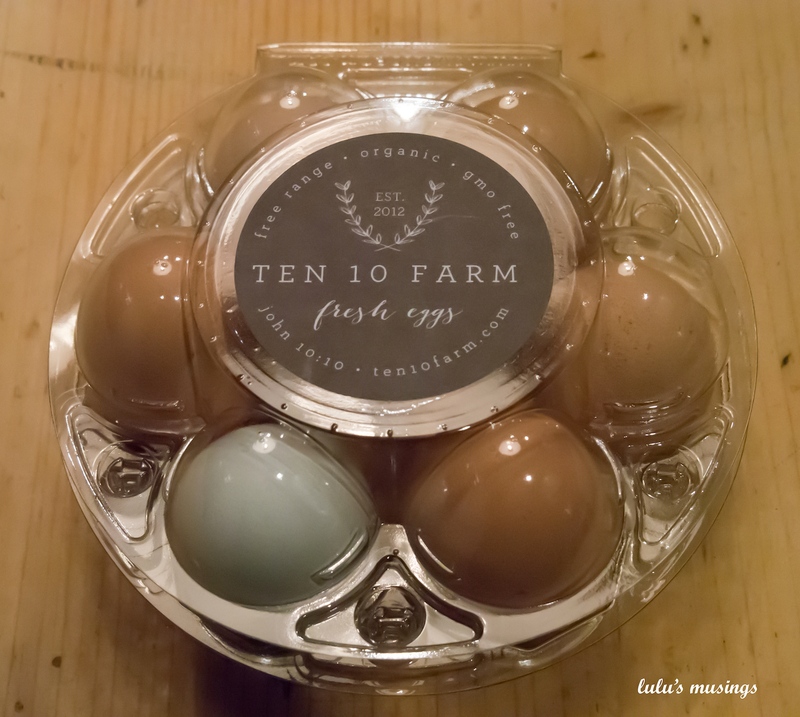 If you want to see more of Ten 10 Farm, visit here. Great photos as you head South. Safe travels. What wonderful photos of what must be a wonderful place! I love everything, but those egg containers are amazing… where can I get some? Check egg cartons.com and you will find them. Can’t believe how the girls have grown up! It looks like my place Lulu. We too have all those animals. Lots of fun!!! You live on a farm? I can see you being a shepherd. I love it!! Looks like you had a fabulous visit. Now I want some sheep and a few mini donkeys. Go for it, you’ve got the place! 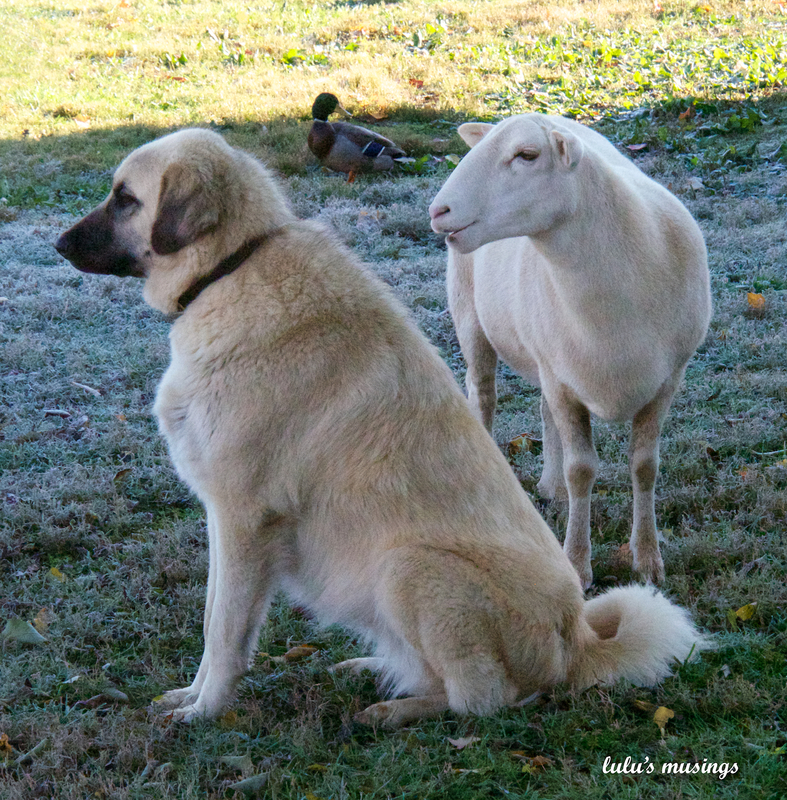 I love the photos, especially the sheep…they are my favorite farm animal with their soulful eyes. Lucy is beautiful…I am a cat person. I, too, fell in love with the sheep. They seem so in need of love and that touched me. 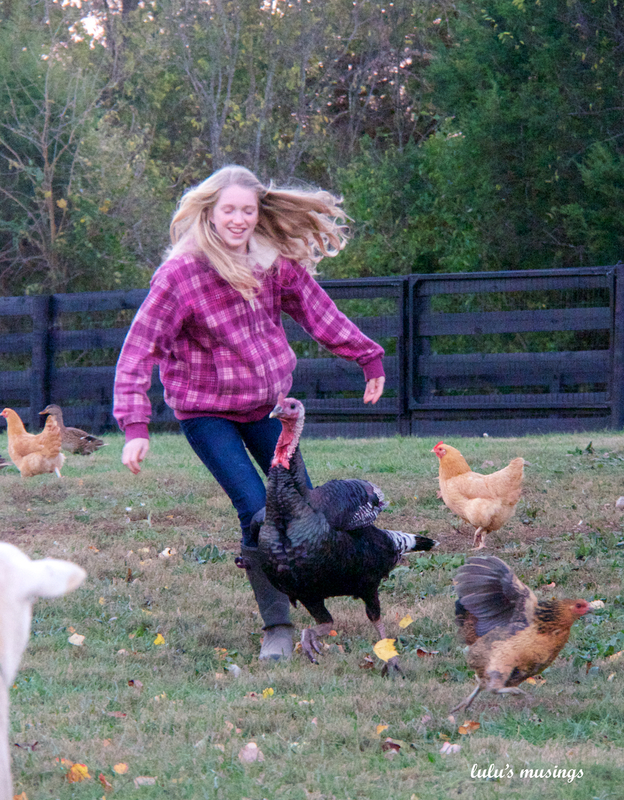 Lulu, so enjoyed visiting your daughter’s farm. 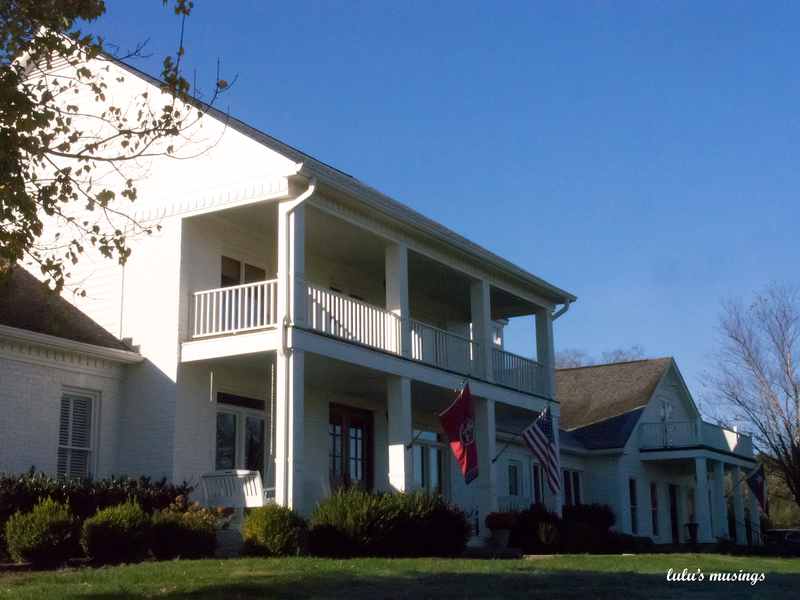 We often travel through Franklin and it is a beautiful place to live or visit! Continued safe travels! It is hard not to find much of beauty in the area. Thank you for your good wishes. What a great life the grandchildren are having there on the farm! Great post! The sheep are so cute too! Great pictures!! Indeed, the sheep are the cutest :)))) I love your posts!! 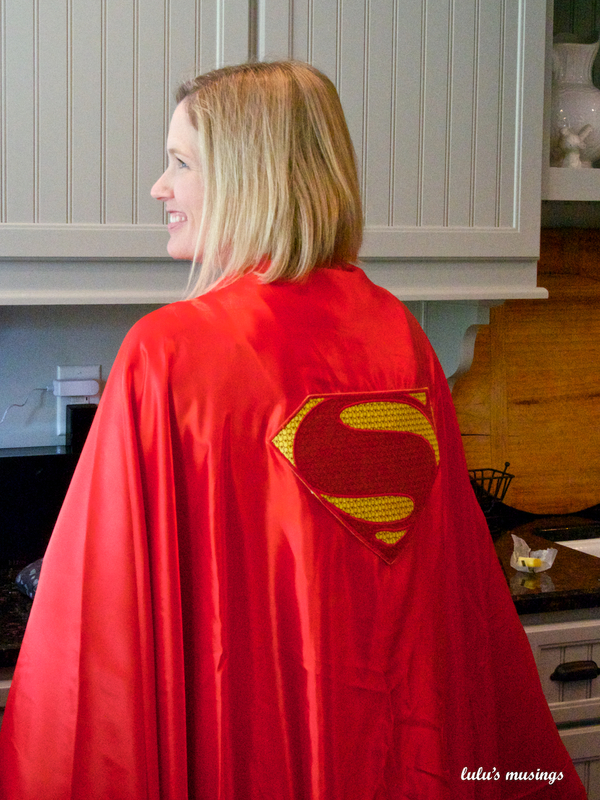 Nice post – love Super Daughter in the kitchen. I so love your daughter’s farm…does she give tours?! !…:) The animals are gorgeous and love that cape of hers! !….and then there are those beautifully packaged eggs…wish I lived closer!!! I am sure it was hard to leave your beautiful family and that fabulous farm! You must be so proud! And your photos of those beautiful animals are just stunning! Fabulous photos, Lulu. I couldn’t help feeling sorry for the poor turkey though. The sheep do have the most endearing faces. 🙂 Safe travels. The farm experience! Nothing like it in the whole wide world!!! I just love the way you got such terrific shots that really capture the feel. 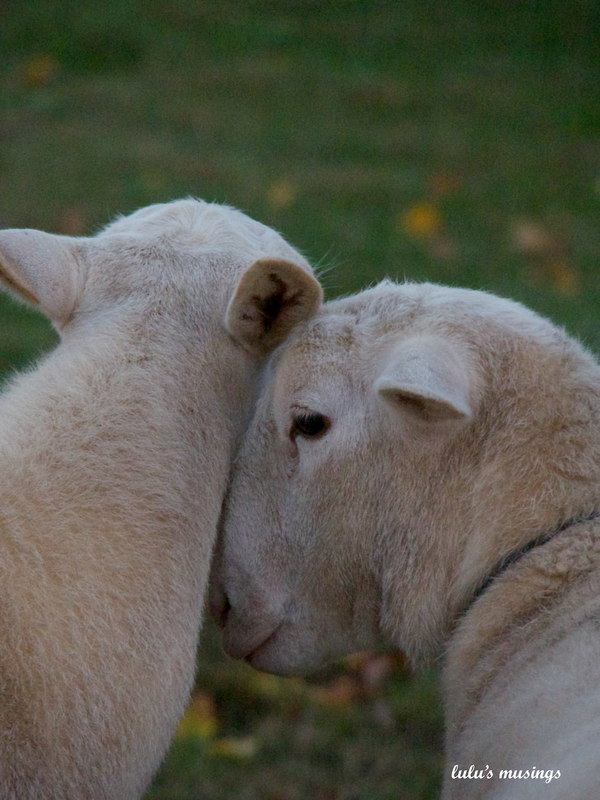 The nuzzling sheep…priceless!!! Those eggs would be a HUGE hit here in the area where I live! There are a lot of people who love the “gourmet” and fresh/natural products so much that they’re willing to pay almost any price! The way these eggs are packaged is just way fabulous!!!!! They look almost like jewelry or fancy soaps! I will share your take on the eggs with the girls which will make them very proud. 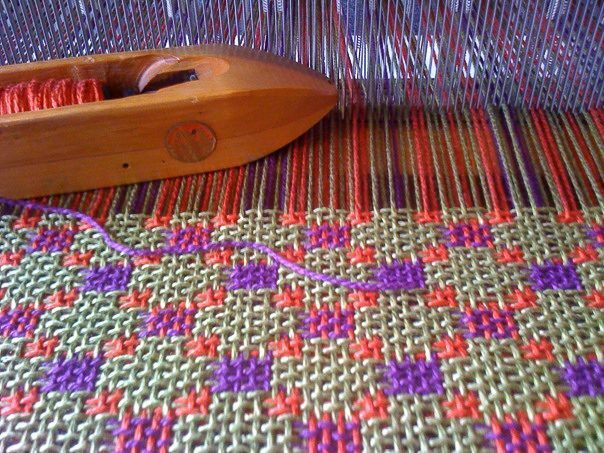 I always say if something looks good, it must be good. The farm experience has been a good one for all. A day in the farm. I haven’t had one in a long time. You made it alluringly sounds so much fun. Those sheeps sure are oddly attractive. 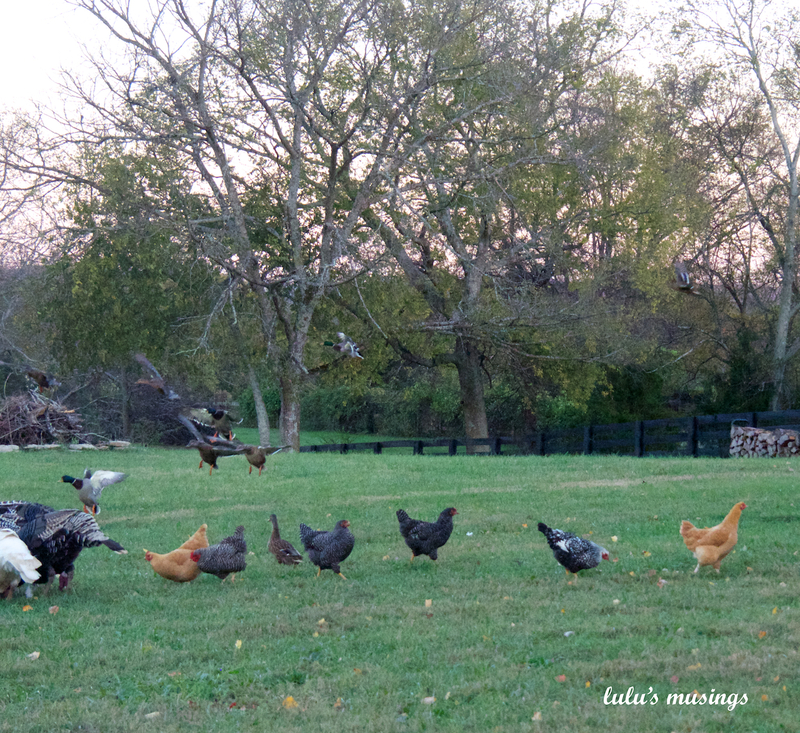 What fun to have a farm with loved ones to stop at on the long road home! Gorgeous photos, as always. And those egg cartons combined with the labels – fantastic!!! Thank you very much. I was impressed by the egg cartons, too. YOu are so talented in taking photos….but like everyone commenting on this post…..loooooved the sheeps….too….nice post! I am ready to move to Franklin TN!!!!!!! 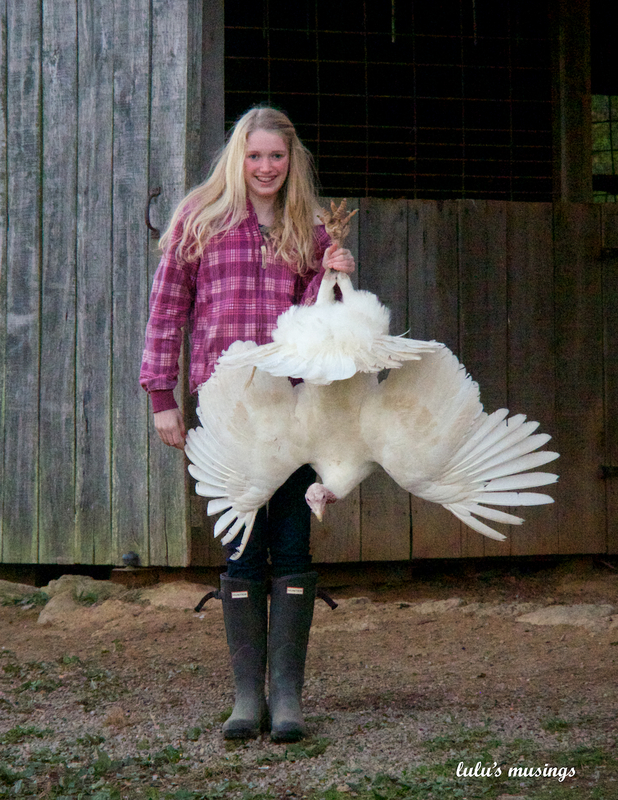 Thank you for sharing your wonderful photos of your daughter’s farm with us. What a treat!